Every member of your family undoubtedly has a special place in your heart and your dog is no exception. Some of the shining aspects of dogs are their unwavering loyalty, companionship, and of course, their unconditional love. When you have a hard day at work and everyone seems to be against you, your dog faithfully hangs around by the front door eagerly awaiting your return. And when you walk through the door, your dog isn’t concerned with anything else but loving on you and making you feel on top of the world. With this in mind, don’t you want to be the best you can be for your canine companion? 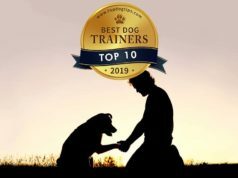 What does it take to be the best pet parent for your dog? There are a lot of things that make a really good dog parent. Your dog relies on you to meet his most basic of needs. What it really comes down to is ensuring the quality of his life. Looking for a veterinarian in your area is not something to take lightly. This is the person that will be directly caring for all of your dog's health needs and giving you advice on the best ways to care for your Fido. Do your research, ask for recommendations from family members and friends, and interview multiple veterinarians. Once you find the right vet, make sure your dog goes in regularly for their shots and their annual check-ups. Preventative care is essential to your dog’s health. Fleas carry diseases that could weaken or even kill your dog, so prevention is a must. Heartworm in dogs is a potentially fatal disease transmitted to your dog usually through the bite of a mosquito that has bitten an infected dog. If caught early enough, it can be treated. However, there is prevention medication available for heartworm as well. The same applies for preventing fleas and ticks on your dog. Using some of the best dog flea collars that are safe and protect your pooch can save you a lot of time, stress and money in the long-run, and it's what most veterinarians recommend, too. Invest in both preventative medications to keep your dog healthy and safe. Preventing is always better than dealing with it later. Your vet will give you insight on the best choice for your pet, and they may recommend other preventative medications depending on the region that you live in and the parasites that are common there. Spaying or neutering is vital to preventing unwanted puppy populations. But more than that, having this procedure is a good preventative to more serious diseases down the road such as uterine and testicular cancer. Most vets recommend waiting until the dog is at least 6 months before having them spayed or neutered. Your veterinarian will inject the microchip with a tracking number into your dog. If he should get picked up by a shelter, the tech can scan the microchip and discover that the dog belongs to you. This is an incredible peace of mind if your dog happens to escape the yard or get away from you during a walk. We all need a bath sometimes – some more than others and your dog is no exception. For canine bath time, use a dog-specific shampoo and make sure you rinse the soap out of this fur thoroughly. In specific cases, you may want to use medicated dog shampoo that's better suited for dogs with allergies, or if you need to use it due to your dog's skin or fur complications. Discuss with a vet if you need a medicinal dog shampoo for that. An important note: human shampoo contains chemicals that could irritate your dog’s skin, so do not use human shampoo on your dog. Always invest in a dog shampoo that's perfect for your pooch's skin and fur. Finally, dry your dog with a towel and blow dry if desired (here's how to do that safely). Drying is necessary for several reasons we discuss in the linked article. You can use a blow drying, or a special towel for dogs that soaks up most of the water from their fur. Dog towels are great, but aren't necessary as long as you have enough time to finish the job. In order to clip your dog’s nails, you will need to purchase a special dog nail clipper (we've compared best ones here) designed specifically for dogs. This nail clipper can be found at just about any pet store. Clip off a little bit of the nail at a time and make sure you are careful not to hit the quick. If you are nervous about clipping your own dog’s nails, or would like to do it but need some help, always consult your vet for a demonstration. Professional groomers may also show you the proper way to clip your dog's nails if you ask. More and more doggy parents are reading the labels on commercial available dog food. This is the best way to find out exactly what is in the food you’re serving to your dog. Choosing the most healthy dog food brands isn't always easy, and you need to do plenty of research before finding out what fits your specific canine best. There are also great resources online that rate various brands of dog food based on several factors. Before you go shopping for the food you’ll be feeding your dog, do some quick research to make sure you’re giving your dog the best food possible to meet his daily nutritional needs. Your pup needs some kind of exercise every single day in order to stay healthy and happy. So make sure that he is walked daily – whether by you or by a hired dog walker. This is a great way to manage your pup’s weight and maintain his energy. Plus if you’re the one walking him, he gets to spend time with you! Again, nothing makes your dog happier than spending time with you. Can you tell by that wildly wagging tail? Make sure he has the essential playthings: tennis balls, plush squeaky toys, tug-o-war ropes, etc. Be committed to setting aside at least 15-20 minutes of playtime with your dog. This one little item can save you a ton of money in the long run. It can also ensure that your dog is covered should any emergencies arise. Every pet insurance policy is different in terms of coverage, so take the time to compare plans to get the best one for your dog and your situation. A trained dog is a happy dog – and a happy owner! Any good owner will put in the time and effort required to train their dog in basic commands. It will strengthen the bond between you and your dog, and besides learning his “manners,” your dog will be well-equipped to socialize with other animals and people. This is one of the key things you can do to ensure a well-balanced dog. The ideal time frame for basic socialization is between three and 12 weeks for dogs. Don’t rush things – let your pooch determine the pace. Everyone in the home needs their own special space – including your dog. It could be a crate or it could simply be a doggy bed placed at the foot of your own bed. The main idea is that your dog has a space to call his own to relax and wind down from the busy day. Another idea, especially if your pet has a lot of dog and puppy toys, is to give your dog his own toy box. Over time, he will come to understand that the toy box belongs to him, and he’ll go in regularly to grab his toys when he feels like playing. Every dog has a different experience traveling in a car. If you find that your pooch enjoys car rides (without getting car sick that is), by all means take him on car rides – even if it’s a ride to the local coffee shop drive-thru. It’s mostly time with you that your pup is after; that and sticking his head out the window to enjoy a fresh breeze. But, it's mostly about the two of you spending time together. Use healthy dog treats as a positive reinforcement when your dog is going through training. But you can use some treats outside of training as well. Many aspiring pet treat makers create adorable homemade “cookies” for your dog. These cookies are available at many pet stores and are sometimes themed to match the season of the year. Consider getting a stash of these for an extra special treat for your dog. Because after all, who doesn’t love cookies?